Xiaomi have separate fan-base in India for their products. They always try to come with something new, unique and cheap as much as possible. That’s the reason behind today Xiaomi is successful in India. Red-mi Note 7 and 7 pro recently launched in India at very fair pricing and carry very cool features. Redmi 7 comes with “Aura Design” 6.3-inch full HD display. Device carries all new Gorilla Glass 5 on front as well as back. Note 7 supports Octa-core snapdragon 660 SoC. Handset runs on Android 9.0 based on the MIUI. Redme Note 7 has dual-camera setup at the back i.e., the 12MP Primary Sensor with f/2.2 aperture and 2MP Secondary Sensor. 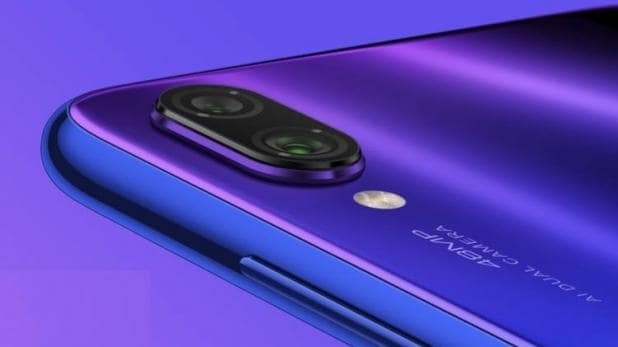 And at the front it has 13MP Camera Sensor and it comes with AI Portrait mode and Some additional features like AI Beautify (4.0), Face recognition, HDR Support, and AI Scene detection to recognize up to 12 Scenes. It has a huge battery set-up of 4000 mAh along with Quick Charge 4 Support. Other Connectivity Options Note 7 includes are- 4G VoLTE, Wi-Fi 802.11ac, Bluetooth v5.0, IR blaster, GPS/A-GPS, USB Type-C Port, and a 3.5mm headphone jack. The Smartphone also comes with a Rear Fingerprint Sensor. The Smartphone is Coupled with 3GB / 4GB of RAM and 32GB / 64GB of internal Storage. It also Supports microSD card (up to 256GB). covered with 2.5D Curved Gorilla Glass 5 for durability. 7 Pro, Powered by 11nm manufacturing Processor based Octa-Core Qualcomm Snapdragon 675 SoC. Note 7 Pro runs on Android 9.0 based on the MIUI 10 and company also says that it has added system optimizations in 7 Pro, Company Claims to Provide 10% faster system responsiveness. Redmi Note 7 pro packed with 4,000 mAh battery with Quick Charge 4.0 Support. Camera Setup of Note 7 Pro- It has Dual-Rear Camera setup that includes 48MP Primary Sensor with f/1.79 aperture and a 5MP Secondary depth Sensor. Device also offers AI Powered features in the Camera app of the phone, Which includes AI Scene detection, AI Portrait 2.0, and Night mode. At the Front, it has a 13MP Front shooter camera, which supports 4K Video recording. Other Connectivity Options of 7 Pro includes- Wi-Fi 5, Bluetooth 5.0, 4G LTE, Rear Fingerprint Sensor, USB Type-C Port, 3.5mm Audio Jack, Dual-SIM Support. The Smartphone is Coupled with 4GB / 6GB of RAM and 64GB / 128GB of internal Storage with an extra microSD card Slot (up to 256GB). Redmi Note 7 set at INR 9,999 for the 3GB+32GB Variant and for 4GB+64GB Variant Price is INR 11,999. Both models come in- Black, Ruby Red, and Sapphire Blue Color options. Note 7 will go on Sale on March 6 at 12 Noon. Other hand Note 7 Pro Starting Price is INR 13,999 for 4GB+64GB of Variant and the other Variant i.e. the 6GB+128GB Variant is Priced at INR 16,999 in India. The Redmi Note 7 Pro will go on sale on 13 March at 12 pm. The Smartphone will be available in three Colours i.e. the Neptune Blue, Nebula Red (both will come in gradient finish), and Space Black. 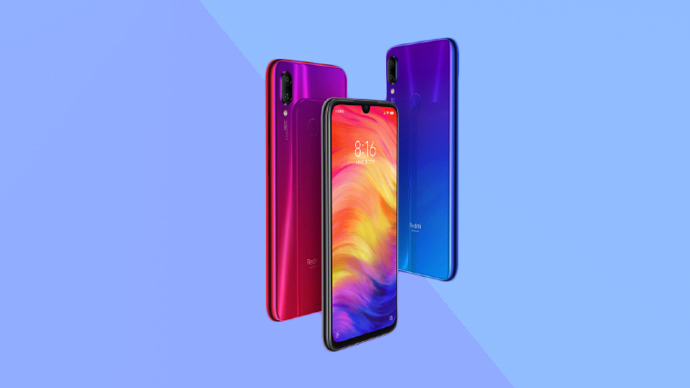 Redmi Note 7 Pro will be Sold via Mi.com, Flipkart, and Mi Home Stores.